The Ek Thambiya Mahal, famously known as Krishna Prakash is located in the marvelously beautiful courtyard in the middle of a pond. This amazing square shaped courtyard is made of white and pink stones which adds to its beauty. Ek Thambiya Mahal is surrounded by Vijay Niwas, Udai Bilas, Lakshman Niwas and Khuman Niwas palaces from all four sides. 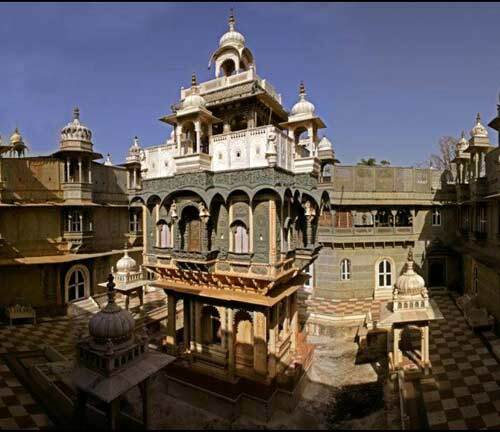 The Ek Thambiya Mahal is a magnificient example of the amazing architecture style of local architects of Dungarpur. 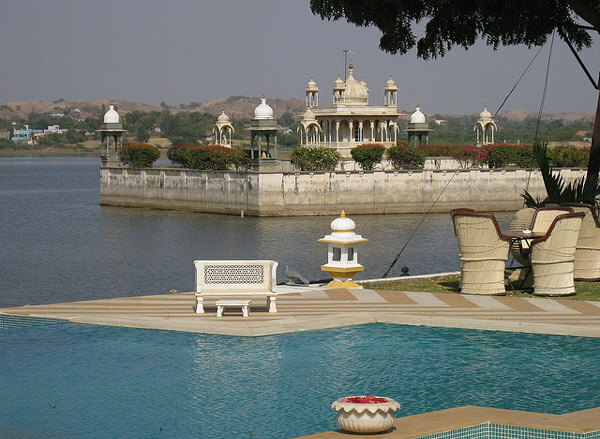 By Road: Ek Thambiya Mahal is located on the banks of the Gaib Sagar Lake in Dungarpur. One can easily reach here by bus or taxi. By Rail: Ek Thambiya Mahal is well connected through nearest Dungarpur Railway station to major cities railway stations like Delhi, Agra, Mumbai, Chennai, Bikaner, Jodhpur, Jaipur, Ahmedabad. By Air: Ek Thambiya Mahal can be reach through nearest Udaipur Airport (132 km) which is well connected with regular domestic flights to Delhi, Kolkata, Mumbai, Ahmedabad, Jodhpur and Jaipur.